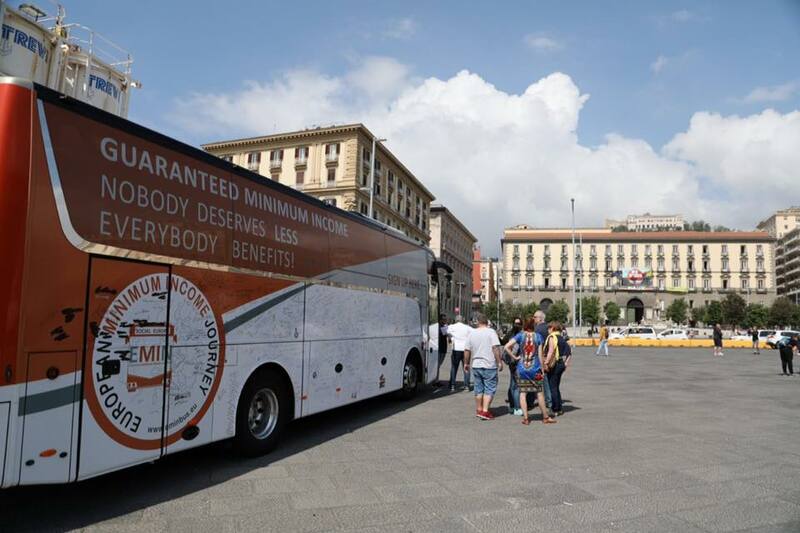 When we entered Napoli with the bus, we saw people queue up in front of the office where you have to apply for the new Italian REI scheme. We soon also discovered that Napoli is a city that certainly knows what poverty is: in the port district there were several homeless people using covered spaced to make themselves a place to stay. With the Italian colleagues we used this day to discuss with people who passed in the busy port area. The Mayor of Napoli expressed his support to our cause and several Councillors wanted to know more about how we see decent minimum income schemes. A school of young people just about to graduate was very interested, since they see minimum income as a way to ease the transition to work that is not easily found in the region. 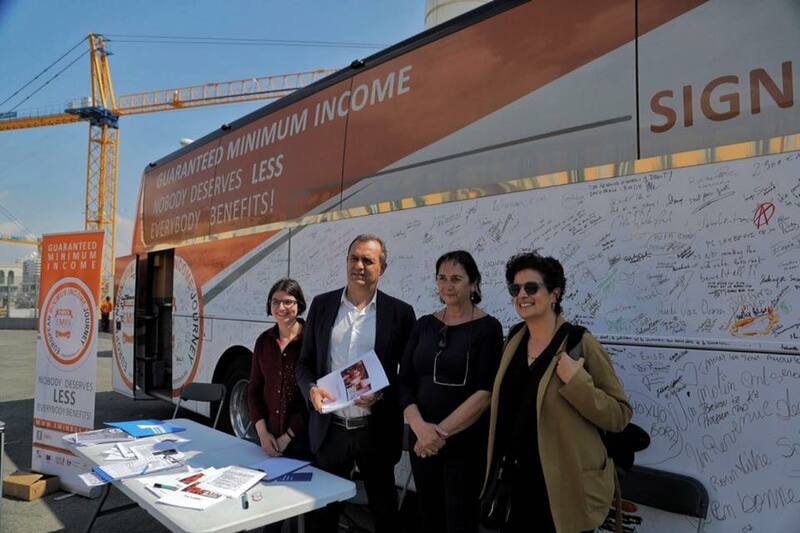 Some of the visitors to our bus were confused and thought we are defending a ‘reddito di citadinanza’ which is the idea of a basic income, that is promoted by the Movimento 5 Stelle and that most probably will become part of the programme of the new government. This was a good opportunity to explain the differences but also the common challenges of both ideas: whereas EMIN defends the right to decent minimum income for people who need them and for as long as they need it, because they are without sufficient resources, basic income is an unconditional universal benefit, even for those not in need. But both movements defend the fact that income should be at a level of adequacy and access should avoid excessive conditionality. 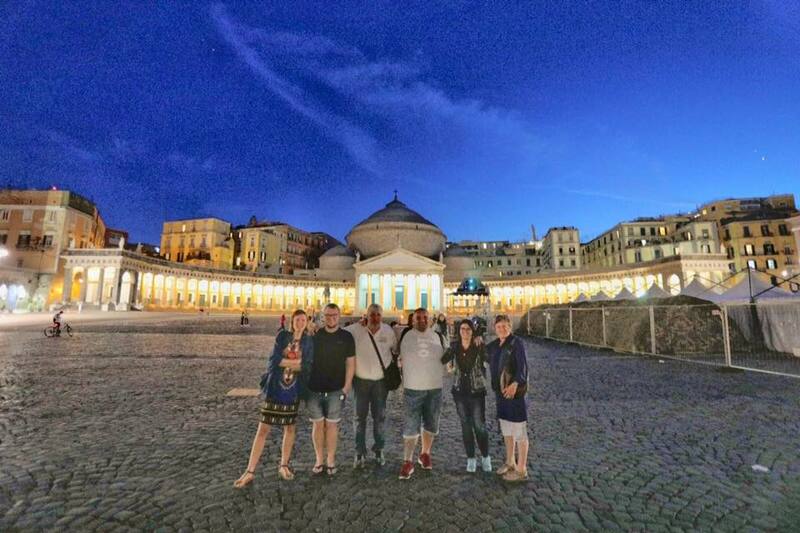 In the evening, our team had the chance to meet with several people representing civil society in Napoli to discuss the implementation of strategies to fight poverty and to evaluate the potential but also the shortcomings of the REI scheme. Christiana Mortelli, who represents the World Bank that is involved in the follow-up of REI in the region of Campania, indicated that one of the major obstacles to successfully implement the scheme, is the compete absence of coordination between social services and employment services and the lack of civil society involvement. Marina Varvesi from ASSIST, an organisation working on energy poverty, pointed to the fact that REI benefits alone will not be sufficient to also cope with the problem of energy poverty that is almonst twice as high in Campania than elsewhere in Italy. Anne Van Lancker explained that in the EMIN project the issues around expenses like on energy are well addressed through our link with the experts on reference budgets. Through the 10 baskets of goods and services that are needed to allow people to live in dignity and participate in society, we get a clear view on people’s needs and expenses. 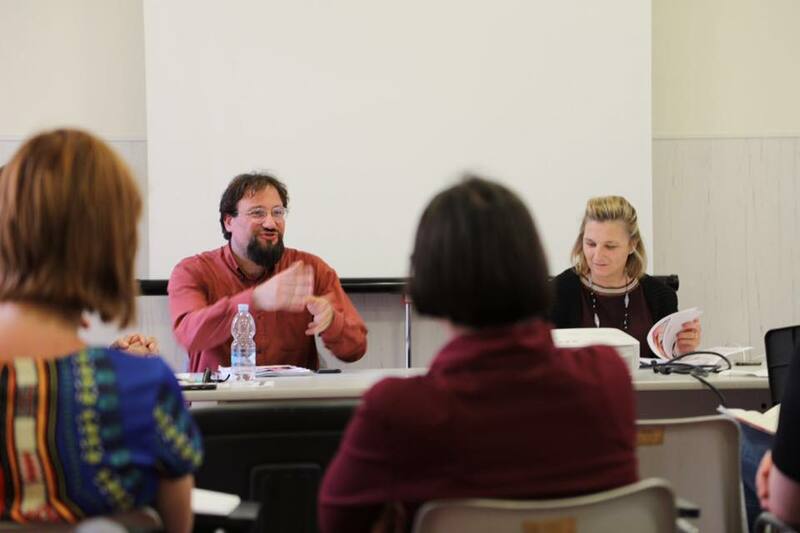 Alfonso Gentile, president of MOVI, the organisation that supports all voluntary organisations in Napoli, concluded that our discussion clearly showed the importance of involving the third sector in questions concerning social development, since that ensures the transition from purely assistance to real participation.